$3,000,000 Reduction. Accepting Offers & Showings. Must Sell... 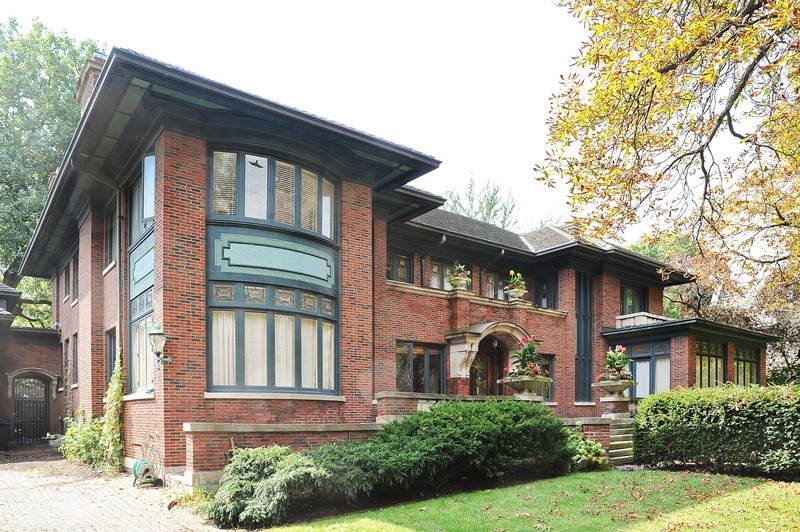 This Exquisite, Architecturally Significant Home, Designed by George Washington Maher was his Largest & his Last Design in the 2 Block Hutchinson Street Landmark District. The Famous Prairie School Architect, Explicitly Designed this Museum Like Mansion for Jewelry Executive Claude Seymour in 1913... 12,000 sqft. of Living Space, Accented with Stained-Glass, Mahogony & Hardwood throughout ...Enjoy Your Sun Room, Library, Doll House, Game Room, (6) Bedrooms & (6) bathrooms... Studio above Garage & a Side Drive. Your Privacy is Enhanced with surrounding Gardens spanning over 5-1/2 city lots... Restoration of the Library & Updating the Kitchen, the Bathrooms, and all the mechanical systems was accomplished in 1991. The Exterior remains true to the Original Architecture, Broad Horizontal Character, Overhanging Roof Eaves, Strong Rectilinear Massing, Prominent Central Entry, Symmetrically Centered Windows.